Oral & Maxillo-Facial Surgery is a medical specialty which has developed by different means and with different results in the various countries of Europe. In order to adjust the objectives on training of OMFS it will be to the advantage of all European countries to rely on guidelines which guarantee quality assurance of training and provide optimum patient care. The UEMS-section of Stomatology and Oro-Maxillo-Facial Surgery and the European Association of Cranio Maxillofacial Surgery in their capacity of representing the specialty of Oral & Maxillo-Facial-Surgery on scientific and professional level in Europe feel obliged to serve as advisor regarding education and training of OMFS and to assist all European countries in their work to record the fundamental requirements for specialty training inOral & Maxillo-Facial-Surgery. EU legislation, national rules and the International Guidelines of Oral & Maxillo-Facial Surgery are important components which must be taken in consideration when setting up training programmes and standards for the specialty. 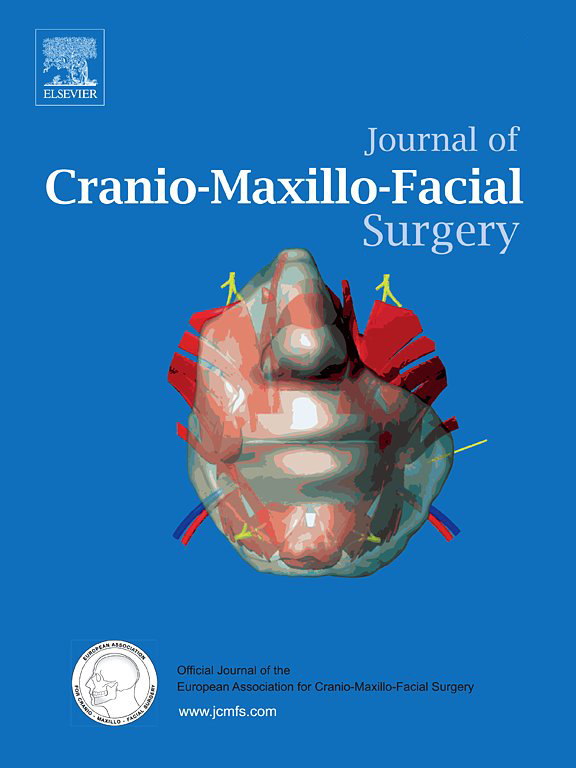 Oral & Maxillo-Facial Surgery is that Specialty concerned with the history – taking, prevention, examination, treatment and rehabilitation of the congenital and acquired pathologic conditions of the cranium, the face, the mouth, the jaws and the neck. Acquired conditions can result from disease, malformation, tumour, trauma, degeneration and ageing. • surgery and treatment of congenital abnormalities including clefts of the lips and palate. In order to practice the full scope of the specialty oral and maxillo-facial surgeons are unique in that they require education and training in both medicine, dentistry and a training in surgery in general and in the relevant surgery of the specialty which should be formally recognised based on national requirements. The specialty training in oral & maxillo-facial surgery may be accomplished in a number of ways. The entry point may be either a medical degree or a dental degree. The duration of core training for Oral and Maxillo-Facial Surgery should be 6 years. National programmes may include up to 2 years of either relevant surgical training or may include up to 2 years of the relevant 2nd degree. ( medicine, dentistry or stomatology as they are recognised in the Directives of the EU ). The advanced training programme in oral and maxillofacial surgery must be directed by an oral and maxillofacial surgeon. The head of training should have been practicing the specialty of Oral and Maxillo-Facial Surgery for at least 5 years after qualification. There should be additional teaching staff in a sufficient number to ensure that all trainees receive sufficient teaching and close personal monitoring during the training. Both teacher and staff should be practicing the full range of Oral and Maxillo-Facial Surgery. All faculty members should have undergone training in education techniques and are requested to show evidence of CME/CPD. The teacher must provide a training programme for the trainee in accordance with the trainee’s own qualities and facilities of the institution which also comply with national rules and EU – legislation. • the development and implementation of a planned curriculum. • quality assurance and audit through the evaluation of complications and outcomes of all relevant cases. Faculty should be available for supervision and consultation for procedures completed in the operating room and outpatient departments. 5. Requirements for Training Institutions. Facilities and Resources. Training institutions for the specialty of Oral and Maxillo-Facial Surgery must be recognised by the national authority of the country. The size and diversity of the training institutions and programmes have to consider both quality and quantity of training activities. Specialty training in oral and maxillo-facial surgery requires both outpatient clinic and operating room experience. Clinical facilities should be properlyn equipped for performance of all ambulatory and inpatient oral and maxillo – facial surgery procedures. In addition to patient care facilities and resources should be adequate to provide the educational experience and opportunities for research required to fulfil the needs of an programme which will lead to the registrable qualification of an Oral and Maxillo-Facial Surgeon. Quality assurance must be an integral part of the training programme of all training institutions. A national register of approved hospital institutions should be available. Regulations of access to training in the specialty should be implemented by the National Authority in accordance with national manpower planning projections in each EU member state. Teachers and training institutions or other responsible bodies select and appoint in accordance with national rules trainees who are suitable for oral and maxillofacial surgery. The selection should be transparent and application should be open to all persons who preferably hold both medical and dental qualifications at the time the training is completed. The trainee must have the medical degree which will provide the ability to evaluate the total patient and to assess the patient for surgical and anaesthetic risks. The trainee must be familiar with patient evaluation, including additional experience in the art of history taking and comprehensive physical examination and further more with therapeutics including sufficient knowledge of all the relevant accepted therapeutic agents e.g. : chemotherapy, radiotherapy. Fundamental to the training of an oral and maxillo-facial surgeon is extensive experience in the areas of critical care of the seriously ill surgical patient and the team management of the severely injured patient. The trainee must have also extensive training in dentistry which is not only an integral part of the specialty but also differentiates oral and maxillofacial surgery from other medical specialties. The trainee must be familiar with the full scope of dentistry including prosthetics, orthodontics, dental surgery and dental restoration. The oral and maxillo-facial trainee must be exposed to the full scope of the specialty. Clinical training in oral and maxillofacial surgery should provide a complete, progressively graduated sequence of outpatient, inpatient and emergency room experience. The trainee’s exposure to major and minor surgical procedures must be integrated throughout the duration of the training programme. The trainee should receive a broad surgical experience by being primary surgeon in procedures involving the full scope of oral and maxillofacial surgery (see table with recommendations of operation numbers which are to be performed by the trainee during his / her training period as minimum requirements). The trainee should receive extensive experience throughout the programme in all aspects of pain and anxiety control. The trainee should be exposed to sufficient numbers of patients with a wide variety of problems to develop competence in the full scope of oral and maxillofacial surgery as it is recorded in section 2, page 2. Regularly scheduled seminars and conferences should be conducted to augment the clinical programme. The trainee should have the opportunity of discussing treatment plans with members of other specialties. Faculty and trainees should be encouraged to attend national, regional and international scientific meetings. The trainee should be encouraged to participate in research and to publish. Fellowships , following specialty training are one method of providing surgeons with additional surgical experience and for expansion of their scope of practice. The central monitoring authority for careful review of the curriculum and of quality assurance shall be the National Board of Oral and maxillofacial surgery in accordance with national rules and EU legislation as well as considering recommendations of UEMS and EACMFS. There should be documentation of ongoing evaluation of the progress of each trainee . The trainee should receive formal periodic evaluation and should only be advanced to a position of higher responsibility on the basis of this evaluation and readiness for advancement. Performance should be formally evaluated and documented in all the components of training. The trainee must keep his / her personal inventory of performance ( log book ) up to date. Exchanging of trainees between National, European and International recognised training centres is recommended and is to be encouraged. National and International training opportunities for oral and maxillofacial surgeons and trainees expands educational options and improves international understanding within the specialty and is an important aspect of professional education in oral and maxillofacial surgery. Quality assurance must be an integral part of the programme of all training institutions. The National Medical Authority or National Board of each EU member country together with teachers and training institutions should implement a system of quality assurance of training. to assure that the goals and objectives of the training are met and recognised by the national authorities. This could be done by visitations or inspections of training institutions, assessment of training and monitoring logbooks. A national register of approved training institutions should be available. e.g. : wisdom teeth, root resection, periodontal surgery, removal of minor odontogenic cysts etc…. e.g. : extraoral and intraoral incisions of abscesses in the oro-maxillo-facial region. e.g. : Repair of head and facial injuries, fractures of the under and upper jaw, orbits, nose, Le Fort I,II,III, and other. e.g. :total and segment. mandibular and maxillary osteotomies, genioplasty, TMJ operations and arthroskopy. e.g. : harvest of all soft tissue and bone grafts, reconstruction with autogenous bone and costochondral graft or alloplastic implants. Reposition of mental nerve, free nerve adhesions, surgical nerve repair / graft.